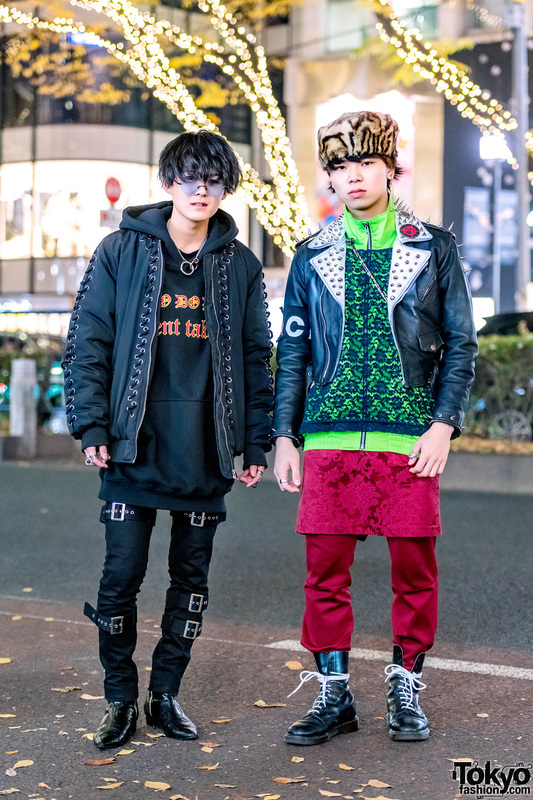 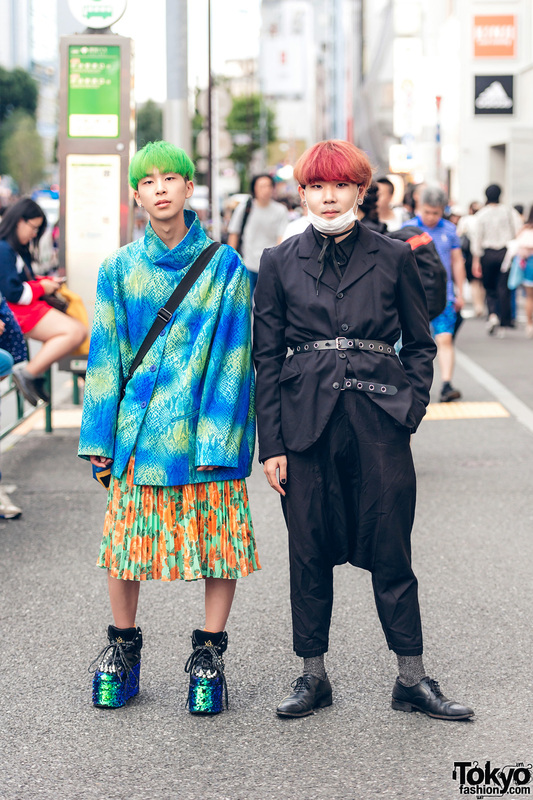 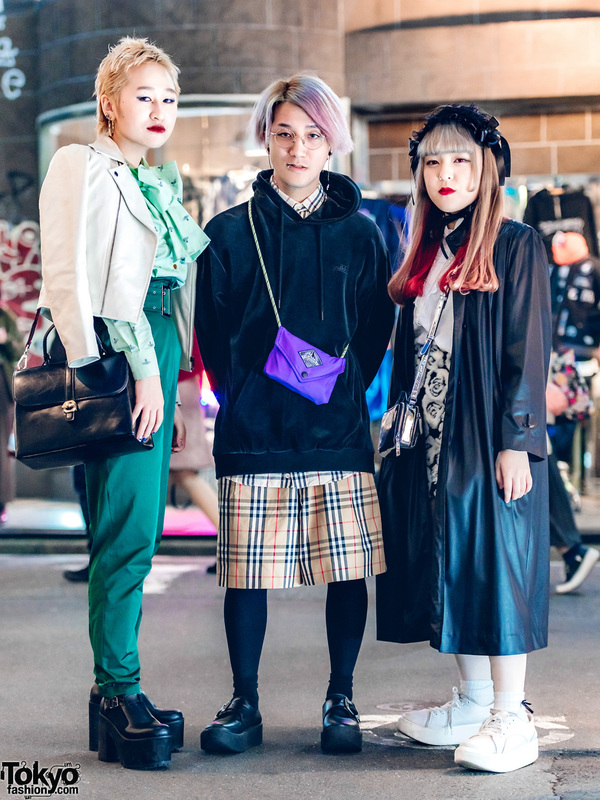 Harajuku guys in all black and remake/handmade mixed prints streetwear fashion while out and about on the street. 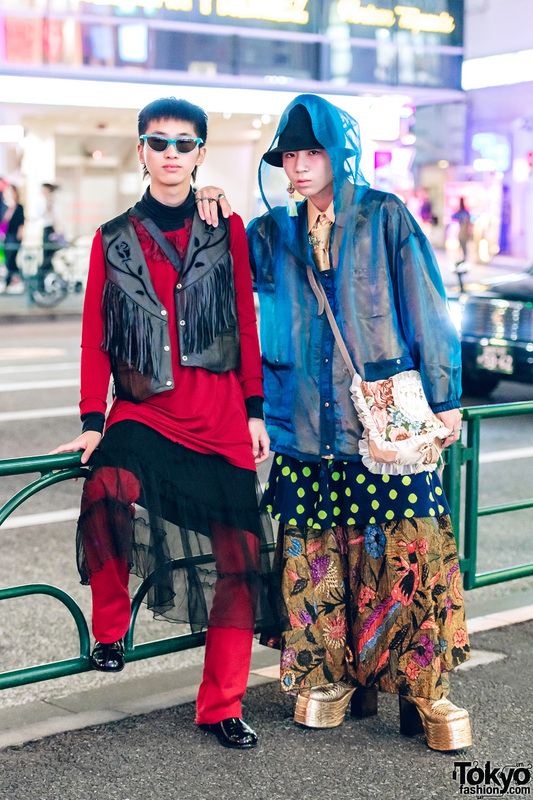 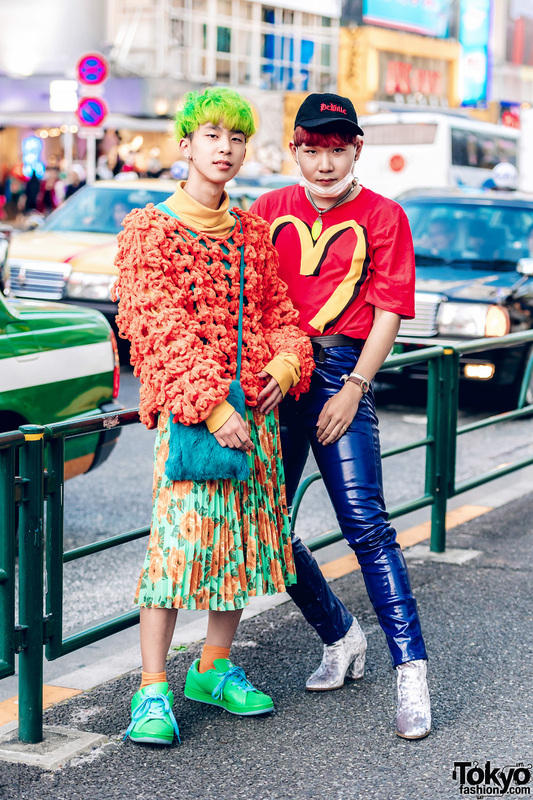 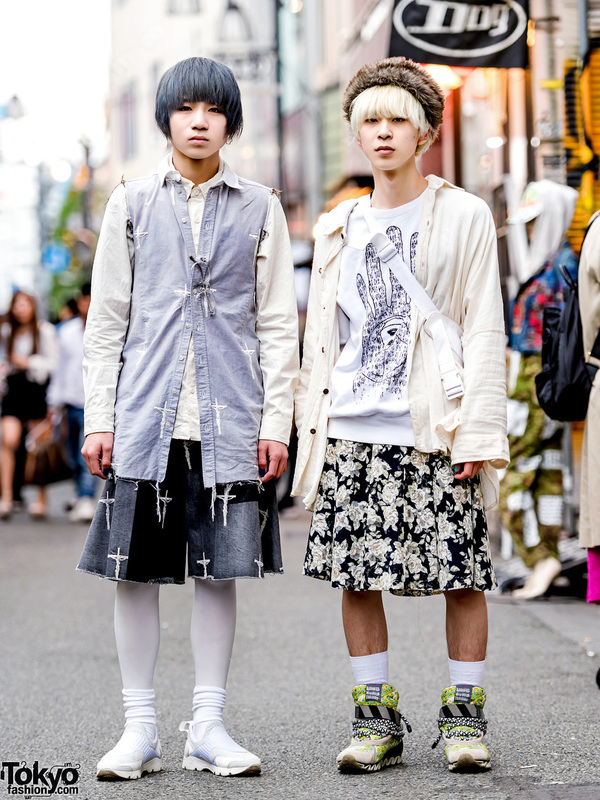 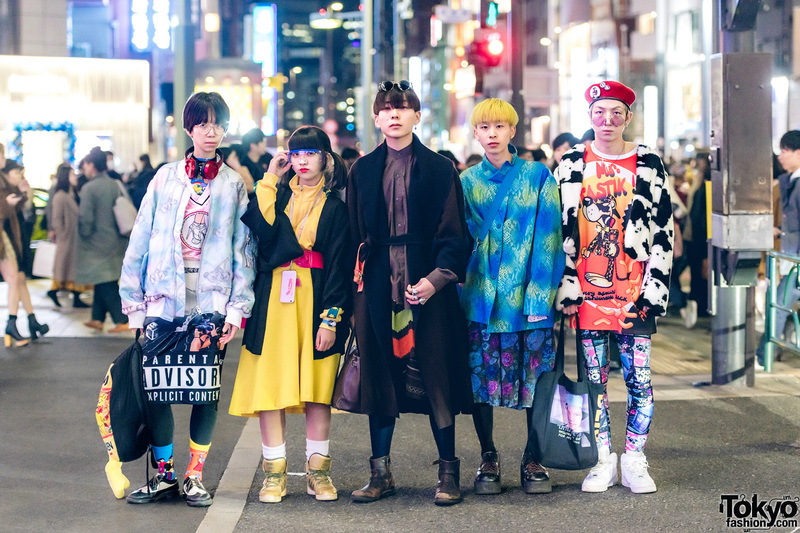 Harajuku guys in retro vintage fashion styles while out and about on the street. 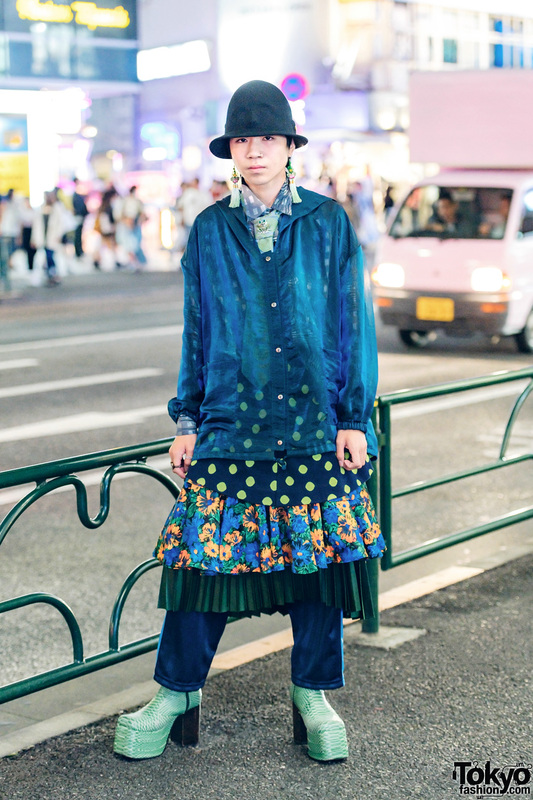 Harajuku guy in floral skirt fashion with mint double-breasted coat, ruffle shirt, snakeskin boots and accessories. 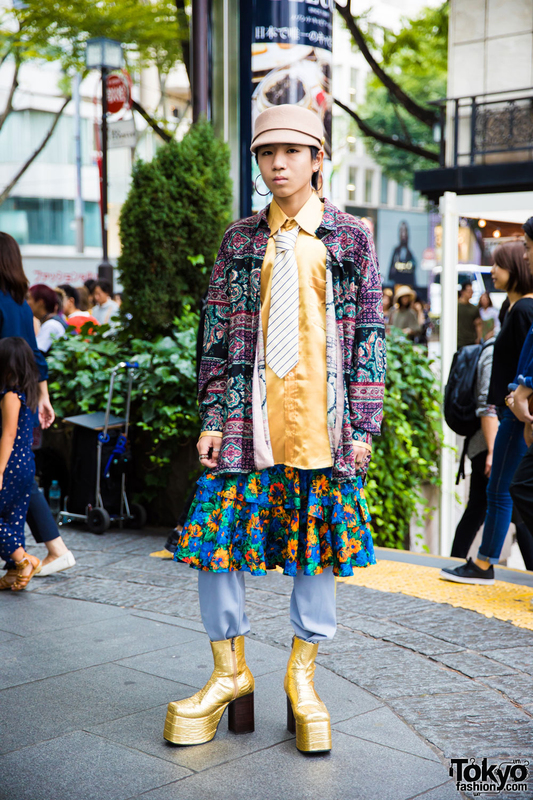 Harajuku guy in vintage clothing with layered shirts, floral print skirt over satin track pants, platform gold boots, tan hat & accessories.